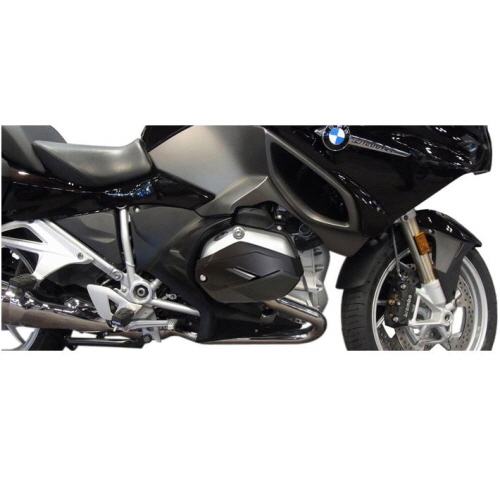 바이크 온라인은 미국 Machineart Moto의 한국내 공식 총판입니다. 미국 현지에서 구매대행이나 직구 가격보다 저렴하게 판매합니다. 또한, 제품이상시 워런티 해 드립니다. 2017년식 이후의 BMW 순정 엔진가드가 장착된 GS 어드벤처 엔진에는 엔진가드의 고무 팩킹과 약간의 간섭이 발생합니다. Hepco & Becker 엔진가드가 장착된 바이크에는 장착되지 않습니다. 매우 강하고 질기지만 탄력있는 플라스틱 나일론으로 제작되었습니다. 온도나 자외선으로 부터 변색이나 기타 변형이 없스며, 엔진가 닿는 안쪽부분은 내열성이 강한 플라스틱 고무등으로 제작되었습니다. 이 제품은 엔진 헤드의 80%부분을 커버해 주어 전도시 헤드를 완벽히 보호하여 줍니다. 기존의 스테인레스나 알루미늄등의 금속성 프로텍터와는 다르게 프로텍터에 의해 엔진헤드가 상처를 입거나 변형이 일어나지 않습니다. 금속성 재질보다 부드럽기때문에 엔진헤드에 2차 충격이 가지 않습니다. 이 제품은 BMW 순정 엔진가드, 투라텍, 알트라이더등과 동시에 사용할수 있습니다. 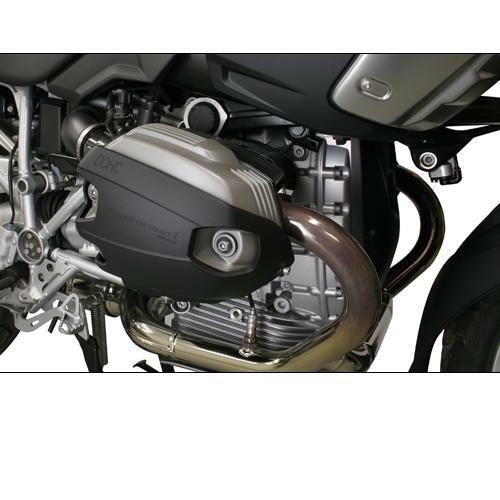 X-Head_LC cylinder guards for all Liquid Cooled models. 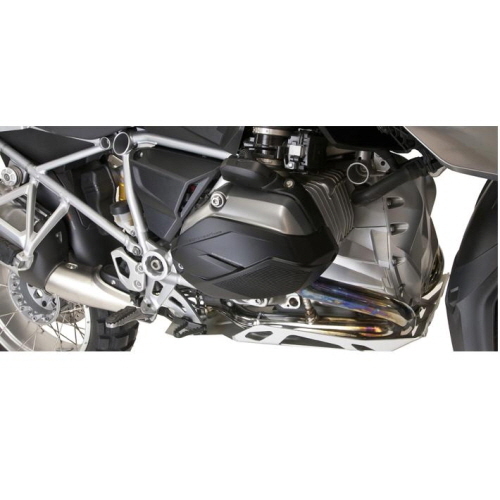 The new X-Head_LC design benefits from "SuperTough" nylon technology successfully proven in use with the X-Head DOHC and SOHC models. With its blend of high impact strength, temperature and UV stabilization, the injection molded shell is designed to be slightly ductile in impact to prevent breakage. 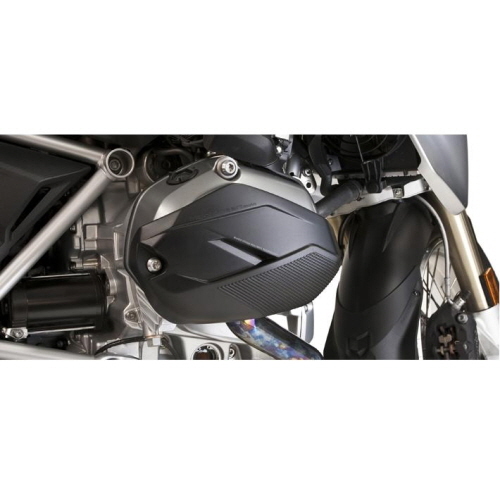 On the inside of the shell is a thermoplastic rubber liner that rests against the face of the cylinder to aid in dissipating impact force while preventing hard contact. Each side mounts via 2 stainless steel M5 T25 Torx Head fasteners and one existing T50 bolt. X-Head_LC cover 80% of the face of the head to protect not only the bottom/front initial impact area, but also the mid part of the cylinder head. Even in a stationary drop, inertia can cause a bike to roll partially onto the face of the head before it settles down. 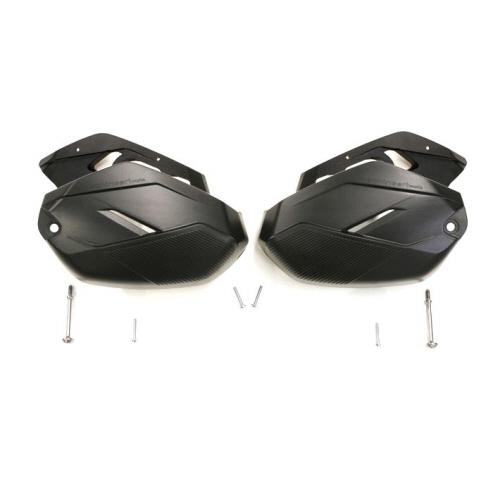 For GS off-road riding, X-Head_LC fits with crash bars made by BMW, Touratech, and Alt Rider to protect heads from rocks and strike angles onto terrain that can get past the bars. 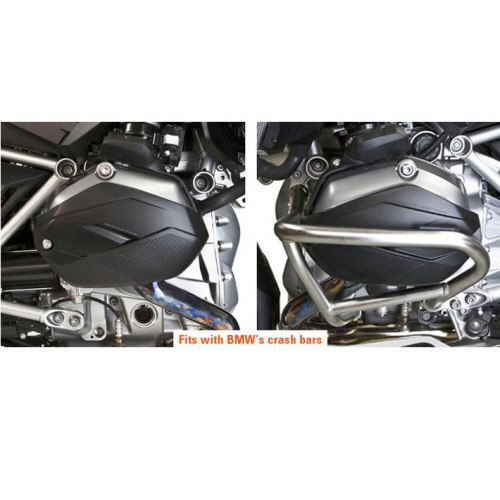 X-Head_LC are styled to complement the the Liquid-Cooled models & are the best choice for riders who do not like the look of crash bars, especially on an RT, R, and RS. 만약 품절의 사유로 15영업일내에 고객님께 도착이 어려운 경우 고객님께 별도로 연락드립니다. 배송일에는 대한민국과 현지 국가의 공휴일은 포함되지 않습니다. 해외 배송의 특성상 상품 청약철회 가능시간은 입금한 날의 19시까지입니다. 단, 19시 이후 입금/카드 결제한경우는 다음 영업일 19시까지 청약철회를 할 수 있습니다. 구매대행 상품인 헬멧과 특별주문 상품은 수수료를 부담하시더라도 원칙적으로 청약철회를 할 수 없습니다. 상품을 받으신 후 상품 택(tag)제거 또는 개봉, 착용등으로 상품 가치 훼손 시에는 교환 및 반품이 불가능합니다. 상품의 오배송, 사이즈 상이 등의 착오인 경우에는 무료 교환이 가능합니다. Gimoto 등의 주문제작상품의 경우, 주문완료 시점으로부터 1주후에는 수수료를 부담하신다고 하여도 교환 및 반품이 불가능 합니다. 재고 상품의 경우, 청약철회 및 교환은 왕복 택배비만 부담하시면 언제든지 수수료 없이 가능합니다.